WASHINGTON — Having a chinchilla, hedgehog or hermit crab in Virginia’s Fairfax County makes you a scofflaw, but that could soon change. The Board of Supervisors voted Tuesday to advertise a public hearing on changes to the definitions of “commonly accepted pets” that can be kept without special, individual permission from zoning authorities. The change is spurred in part by a 12-year-old girl’s desire to legally own a hedgehog. Hedgehogs are defined as wild or exotic animals and are illegal pets in the county. Zoning approval can be granted for a chinchilla or hermit crab. Today in Fairfax County, residents do not need special permission to own the following: rabbits, hamsters, ferrets, gerbils, guinea pigs, mice, rats, turtles, fish, dogs, cats, birds like canaries, parakeets, doves and parrots, worm or ant farms, non-poisonous spiders, chameleons and similar lizards and non-poisonous snakes. The Planning Commission hearing is tentatively scheduled for 7:30 p.m. Nov. 29; the Board of Supervisors hearing is tentatively scheduled for 4 p.m. on Jan. 22. “We know that even people such as former supervisors have had chinchillas,” Supervisor Kathy Smith said. County staff members acknowledge many other people do not even know chinchillas or hermit crabs are illegal as pets today. Bulova also suggested legalizing the pets could allow the county to provide more information on how to properly care for the animals. 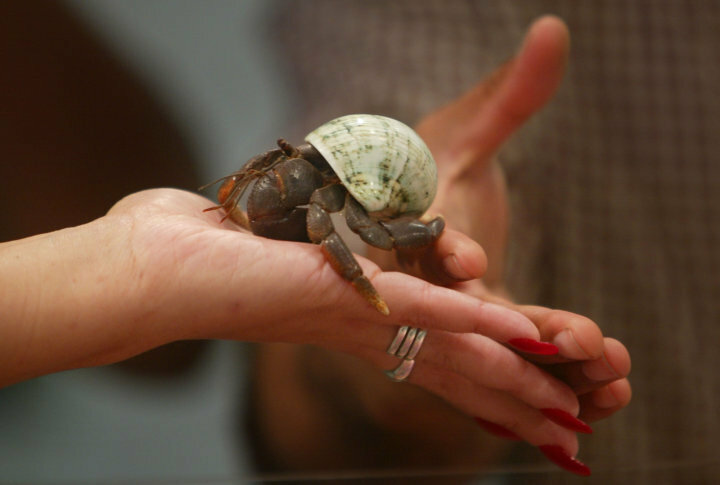 “Staff has seen an increase in inquiries related to the keeping of animals such as hedgehogs, chinchillas and hermit crabs, as these animals are popular and routinely sold as part of the retail pet trade,” a report to the Board of Supervisors said. Over the last decade, about 45 applications have been submitted for zoning exemptions for pets. Taking care of a chinchilla is similar to taking care of a rabbit, and taking care of a hedgehog is similar to taking care of a ferret, veterinarians told the county. Those vets expressed some concern that if the animals remain illegal, some people would not bring them in for care. “Many Fairfax County residents already own hedgehogs, and while many bring their animals into the veterinarians for care, other residents have been hesitant to bring them in or to provide contact information in fear of being reported to the County for owning an illegal animal,” the report said. Some hedgehog owners choose them because hedgehogs do not cause allergy problems. “Given their relatively low-maintenance care (as opposed to other pets such as dogs or cats), hedgehogs and chinchillas have risen in popularity among pet owners,” the report said. It found no significant health concerns with keeping the animals, as long as those owning hedgehogs follow proper precautions, such as hand-washing to avoid the spread of diseases like salmonella. The risk with hedgehogs is similar to or lower than other already accepted pets like turtles and lizards. The City of Fairfax does not allow hedgehogs or chinchillas, and the law is unclear on hermit crabs. Falls Church does not allow hedgehogs, chinchillas or hermit crabs. Neighboring Arlington County already allows hedgehogs and chinchillas but has no legal language about hermit crabs. Loudoun County allows all three. Prince William County does not allow hedgehogs, but does allow chinchillas and hermit crabs. Animal shelters in those jurisdictions said they had not seen a lot of people surrender these pets, and they have not noticed them as strays. In Arlington, a few chinchillas or hedgehogs have been dropped off at the shelter. The chinchillas have generally been adopted, while the two hedgehogs surrendered since 2013 have been placed through a rescue group. Arlington County told Fairfax County there have been no increases since Arlington adopted a wild and exotic animal ordinance a year ago. Loudoun County’s shelter sees a handful of hedgehogs and chinchillas, all of which are typically quickly adopted. For Fairfax County, this would be the first update to the county’s definition of commonly accepted pets since 1985. Fairfax County’s Animal Services Advisory Commission has not endorsed this amendment. The panel last month was not sure whether there was significant public interest. It had concerns about whether the change might “foster an exotic pet fad resulting in irresponsible care for these animals,” a county staff summary of concerns said. In 2001, supervisors considered allowing domestically bred African pygmy hedgehogs and hermit crabs as commonly accepted pets but did not make the change over concerns that hedgehogs and hermit crabs were “wild animals,” so having them as pets might be inhumane. In 2015, another draft amendment was drawn up and endorsed by an advisory commission, but was never acted on. “This has been kicked around for a long time, and we came very close a couple years ago and, for me shockingly, it was pulled off the table. This is something that the community wants,” Supervisor John Foust said. A related change under consideration as part of this proposal would lower the age of chickens, ducks, turkeys and geese counted against the total allowed on properties in Fairfax County from six months to two months old. People with at least two acres are permitted one “bird unit” per acre. A bird unit is defined as 32 of-age chickens, 16 of-age ducks, eight of-age turkeys or eight of-age geese. Special permits can be granted for those birds to be kept on smaller properties.